Twitter fixes potholes in Panama: What lessons can Sri Lanka learn? This is a genius idea and an effective one as well. The tweeting potholes have been in operation since late May It was reported that 30% of all potholes were attended to as of June 14th. Needless to say, mounting local pressure forced the local authorities in Panama to respond and it appears they have taken necessary action thus far. We could easily see something like this becoming a hit in Sri Lanka, given the abundance of potholes in the country. Pivoting to the larger point at hand, we’ve seen social media make waves in Sri Lanka. It has brought upon national attention to important issues such as harassment, corruption and even forced companies to ban some of their ads. What aspects of transportation in Sri Lanka would you like to see solved by social media? Tell us in the comments! These are probably some of the more annoying aspects of driving. We all get a little annoyed when we hit a pothole since it makes the ride uncomfortable, usually just for a moment. Here. let’s look at the best way to tackle potholes, and how to recognize pothole damage. How do I avoid potholes? 1. Beware of Puddles: Given the fact that we’ve have a lot of rain recently, be wary of puddles. Some puddles usually aren’t very deep, but be careful- the last thing you want to do is to find out the hard way! Try to avoid potholes when driving! 2. Keep your eyes on the road: As we have mentioned earlier, Sri Lanka is a country which has a number of road accidents every year. A contributing factor is texting while driving. When you’re driving, be aware of your surroundings and keep your eyes peeled for potholes. 3. Take care of your tyres and suspension: Tyres are more likely to get damaged when tyre pressure is low. In a similar way, if your shock absorbers are hit badly as a result of a pothole, your undercarriage becomes more vulnerable to damage. 4. Watch your Need for Speed– If the road you are travelling on has obstacles such as parked vehicles, narrow lanes or potholes, don’t speed. The faster you go, the greater the damage onto your car. 5. Hang on: If you can’t stop yourself from hitting a pothole, grip your steering wheel tightly to ensure that you maintain control of your vehicle. Don’t brake, just let your car absorb the blow. I tried everything, but I ended up hitting a pothole! Should I be worried? It depends. 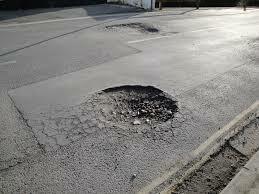 If you encounter the following signs of pothole damage you ought to have your vehicle checked. 1. Alignment problems: Instead of going straight, you know you have problems if your vehicle veers too much to the left or the right. Furthermore, if one of your tyres is more worn out than the other, take a look at your vehicle’s alignment. 2. 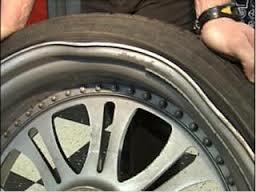 Tyre damage: If you hit a pothole hard, immediately slow down and pullover. Your tyres don’t necessarily have to blowout at the point of impact. Take a look at possible damage on the sidewalls and rims of the tyres. Severe damage could indicate that a blowout is imminent. 3. Bumpy Ride: If you hit a pothole and your car’s suspension system gets adversely affected, expect a bumpy ride. The suspension system is made to make your journey smoother. Hitting potholes harder often means that the shock absorption mechanism gets damaged, so please be careful. 4. 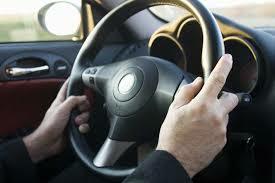 Difficulty steering: If you can’t control you car when making turns or even simply going straight ahead, could mean that you have issues with your steering wheel. 5. Problems down under: If there is a scratch on the bottom of your vehicle, it may not be a big deal for some people. 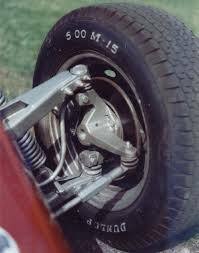 However, you ought to take a look underneath to ensure that the undercarriage is OK.
6. Call your motor insurance company: If you have a motor insurance policy with HNB General Insurance, you may be eligible for a payment to cover repair costs. To find out more, call our HNB General Insurance hotline on 0114-883-883. Liked this article? If you did, share & subscribe for more great content. See you next week!